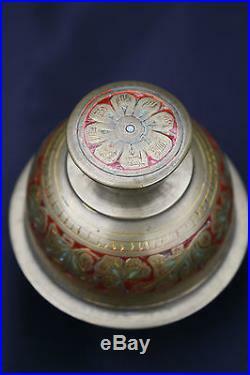 Beautiful cute small antique solid brass Indian Elephant Bell with fantastic "teeth" design at the bottom and engraved flower pattern on the top part. 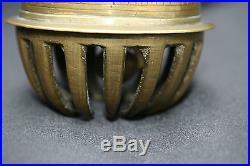 Made between the early 1900s till 1930s. 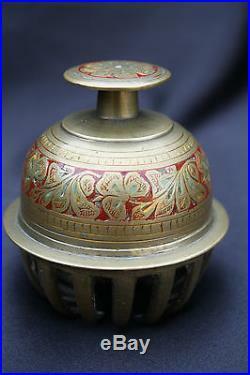 Height 8 cm, Diameter 6.5 cm. 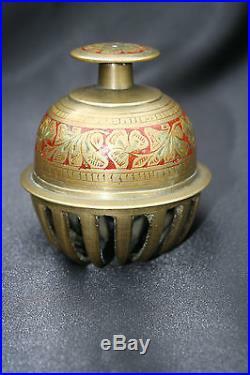 The item "Antique Solid Brass Indian Elephant Bell Engraved Flower Pattern. 1900 1930s" is in sale since Thursday, January 12, 2017. 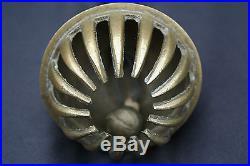 This item is in the category "Antiques\Decorative Arts\Metalware\Brass".skittles" and is located in Melbourne, VIC.